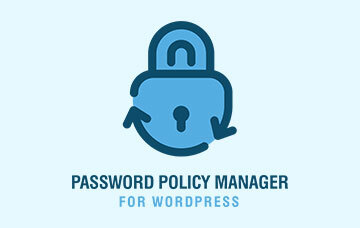 WordPress blogging platform is one of the most easy to install web application script. As a matter of fact, WordPress is well known for its five minutes installation, or less. Many web hosting companies typically offer tools which will automatically install WordPress for you. Though if you would like to install WordPress yourself, below is a step by step documentation on how to install it. Installing WordPress yourself gives you much more control and flexibility on the configuration of your blog. 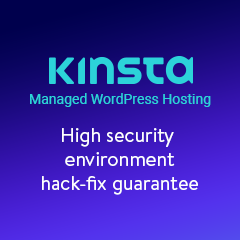 WP White Security Admin TIP: To avoid upgrade or compatibility issues with WordPress versions, it is always recommended to install WordPress without using third party tools. Once downloaded, extract all the files, which by default are extracted to a directory called WordPress. 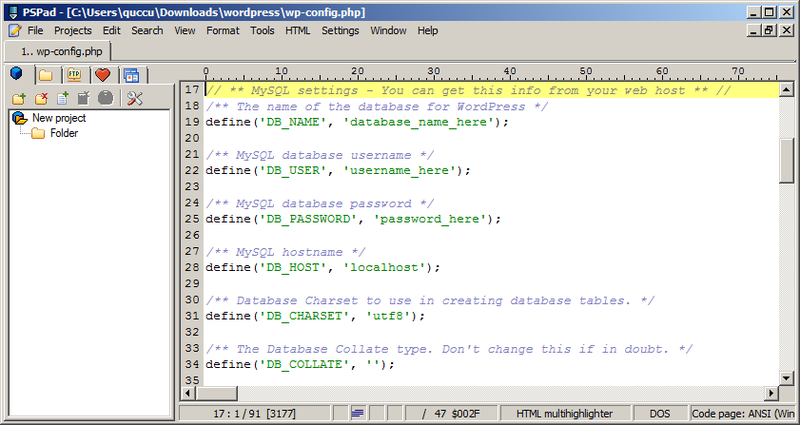 There are several ways how to create a new MySQL database for your WordPress blog. If you are using a shared hosting service, such as HostGator, refer to our WordPress tutorial How to create a WordPress database from CPanel. If you host your own server, or you are an advanced user and would like to create your own MySQL WordPress database and configure granular MySQL database privileges and more, follow our Create a MySQL database and username using a GUI such as phpMyAdmin WordPress tutorial. You can either configure wp-config.php file manually using a text editor as described in the procedure below, or else you can let WordPress do it for you when you run the WordPress installation script. To avoid giving WRITE permissions to the web server user, it is recommended to set up the wp-config.php file manually by editing it with a text editor. Navigate to the directory where you extracted the WordPress files and rename the file wp-config-sample.php to wp-config.php. DB_NAME: the name of the MySQL database you created for WordPress in step 2. DB_USER: the username you created to access the MySQL database in step 2. DB_PASSWORD: the password you specified for the MySQL username in step 2. DB_HOST: the hostname specified in step 2, which typically is localhost. 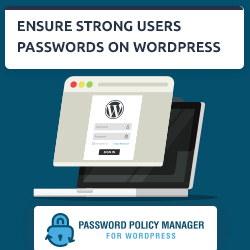 WordPress uses these random generated values to ensure better encryption of information stored in the user’s cookies when visiting a website. You do not need to remember such values, just make them as long as possible, random and complicated. Using a web browser, navigate to the WordPress secret key online generator. Once you’ve replaced all the secret key values (listed below, save the wp-config.php file. Once you decide where to upload the new WordPress blog, using an FTP client connect to the remote server and navigate to the directory where WordPress will be running. 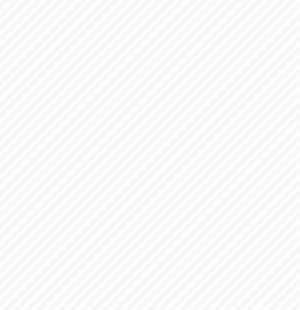 Upload ALL the extracted content of the WordPress directory (but not the directory itself).